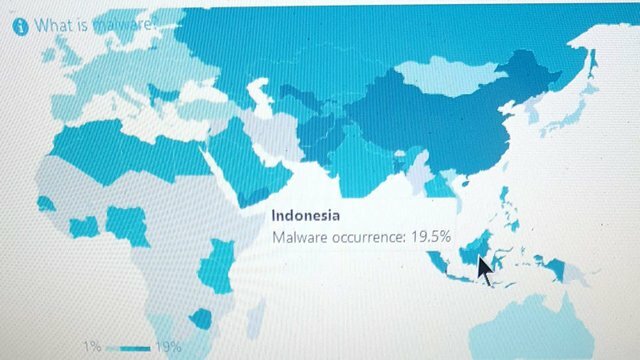 Indonesia country is beautiful but has the most malware occurence. Malware in simple words is a virus. You have to be aware and scan for viruses both on your android or desktop device when you find out that you have visited a non https site from Indonesia. The Internet is not a safe place because any computer can be an easy target for cybercriminals. Cyber Security technologies makes it possible for your personal data to stay safe from hackers. Moreover, organizations like facebook that store your personal information use emerging technologies to avoid this because they have very valuable information to be stolen and recently, they have become an easy target. What can you do with project bluefire? Android: Search project bluefire on the playstore or click the link in bio. How is not affected by malware and hackers? They use Anti-DDOS protection for their community. Thank you so much for being an awesome Partiko user! You have received a 1.92% upvote from us for your 435 Partiko Points! Together, let's change the world!